When Dr. Duane Gill (Oklahoma State University) traveled to Cordova, Alaska, in 1989 following the catastrophic incident of the tanker vessel Exxon Valdez running aground on Bligh Reef in Prince William Sound (PWS) and spilling 11 million gallons of crude oil, he could not have anticipated he'd stumbled upon his life's work. A professor of sociology, Gill spent the next two decades documenting sociological impacts of the spill on the lives of Cordova residents. From their decimated fishery to an extended legal battle over remuneration that rose to the Supreme Court, he, Dr. Steve Picou and a research team including Maurie Cohen, Liesel Ritchie, and Kati Arata dove into the spill's aftermath in what he calls a "20-year odyssey" studying the impacts of the largest oil spill in history and its devastating impacts. In what may be his final assessment of the community, Gill is heading north 20 years after the spill with funding from the National Science Foundation for a research project to document how a 2008 decision by the U.S. Supreme Court ordering Exxon to pay $500 million in punitive damages affects the community. Exxon was originally ordered to pay $5 billion in punitive damages to 33,000 plaintiffs in a 1994 jury trial, but the Court implemented a one-to-one ratio of punitive damages to actual damages reducing the award to one-tenth of the original amount. Even with an additional $500 million in interest that Exxon has been ordered to pay, the total award does not cover economic, social and cultural losses experienced by many survivors of this disaster. In their latest project, Gill, Picou, and Ritchie will study impacts of the litigation decision and subsequent disbursement of money on individuals, groups and the Cordova community. Gill and Ritchie will travel to Alaska in mid-November to continue a panel study of commercial fishermen and Alaska Natives that began in 2001. A panel study collects data from the same person at different points in time; Gill hopes to survey as many of the original participants as he can. They will return to Cordova over the next two years to conduct intensive interviews as a continuation of a qualitative panel study initiated by Ritchie in 2002. Finally, Picou will oversee a telephone survey of the Cordova community during the last year of the three-year project. Gill expects to wrap up the study in 2012. "Last year, when the ruling came out, people were shocked, devastated, and angered," said Gill. "I heard a lot of cussing after the decision was announced. There was a sense of betrayal and loss of faith in the justice system." One Cordova resident confided to Gill that he "cannot say the pledge of allegiance anymore because the last line says, 'justice for all,' and that's a sham." Gill said the bitter disappointment he witnessed last year, immediately after the ruling was announced, was emotionally tough. Over the decades he has earned the trust and respect of those he studies. And the academic value of his research allows him and his colleagues to maintain professionalism while having empathy for their subjects. "Do I get emotionally involved?" he asked. "Of course. I have a heart. We maintain professionalism in the field and we don't compromise that, but at the same time we're human and there is empathy for the people and community." 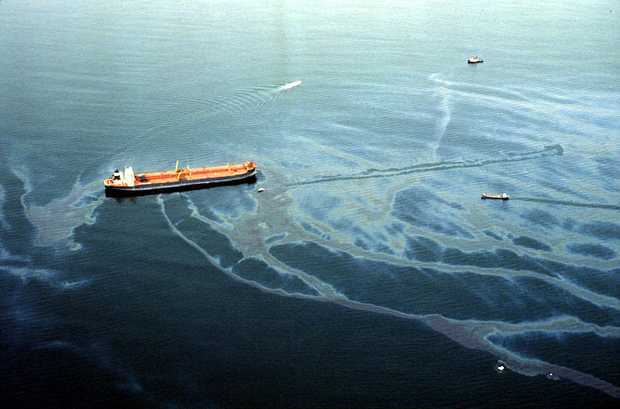 Since the spill, which occurred March 24, 1989, Gill and the research team have documented impacts of the environmental damage to the community. The research team examined how Cordova and groups like commercial fishermen and Alaska Natives are tied to renewable resources such as fish and how damages to these resources disrupted the local economy, as well as cultural activities and social networks. Much of the social disruption and psychological stress observed by the research team in the first few years after the spill were related to damaged resources that were slow to recover—20 years after the spill, only nine of 22 species damaged by the spill have completely recovered. In the mid-1990s, as Exxon appealed court rulings on punitive damages, Gill observed lingering disruption and psychological stress within the community. "There was chronic distress because things weren't resolved," said Gill. "A lot of the stress was not only due to natural resource damages, but also to the unresolved litigation." Prolonged litigation is stressful, he said. Residents accustomed to a subsistence- and renewable resource-based lifestyle had to adjust to dealing with attorneys, a complex legal system, and a giant corporation with seemingly unlimited resources. "There has been prolonged uncertainty as well as a sense that this case should have been resolved," he said. "In addition, these people suffered a lot of damage, especially with the collapse of the herring fishery. The actual damage award was calculated in 1994 and does not cover the losses these people have continued to experience." In the mid-1990s, the community invited Gill and his colleague Steve Picou to devise a mental health program focused on coping with technological disasters. Recognizing that a disaster like this oil spill had implications that reached far beyond the ordinary disruptions to services and jobs, the two social scientists aimed to address the less tangible impacts of the disaster. For instance, they noted "disruption of family structure and unity, domestic violence, depression, alcoholism, drug abuse, and psychological impairment." At the community's request, they developed a guidebook on how to cope with technological disasters. "What began as an academic study on community impacts of a technical disaster evolved into a practical application to help (the guidebook), and later to a specific focus on litigation impacts in 2000," said Gill. "The community expected a decision and waited for years. Instead of a decision, the case just got passed back and forth between the courts." Initially, Gill and his colleagues expected the punitive damage award would have an overwhelming impact on the community. When residents were expecting payouts of billions of dollars, the research team anticipated an economic boom that would affect at least 40 percent of the households in the community and lead to a "money spill." "A lot of the fishermen who weren't able to fish worked for Exxon in 1989, and some became known as 'spillionaires,'" said Gill. Some felt those who worked for Exxon had sold out, and that they were enriching themselves as others suffered. There was concern that a similar scenario would be repeated with the punitive damage award disbursement. With the drastic reduction in punitive damages, the impacts are hypothesized to be different than previously expected. Now, with last year's Supreme Court decision, Gill said this current research project may be the last. Twenty years after 11 million gallons of oil spilled into Prince William Sound, there may finally be closure. Gill said he expects to find evidence of "reluctant resignation." "The attorneys for the community see the Supreme Court decision as a loss," he said. "I expect the stress and the disruption that we have measured over the past several years will begin to decline. I think the community will begin to arrive at some semblance of normalcy. They can begin to put this behind them." Granted, the Exxon Valdez oil spill will not completely be resolved until the ecosystem recovers, but from a sociological perspective, Gill anticipates the disruption and stress to dissipate. In its place, though, feelings of betrayal and distrust will likely linger. "I think we will find a persistent loss and lack of trust in basic social institutions such as the court system, loss of trust in state and federal government, lack of trust in major corporations," he said. "That equates into a loss of social capital that is based upon issues and networks of trust and reciprocity. This disaster has changed their worldview. Many people in Cordova believe they cannot depend upon things they used to depend upon." The Arctic Report Card – Are We Passing?